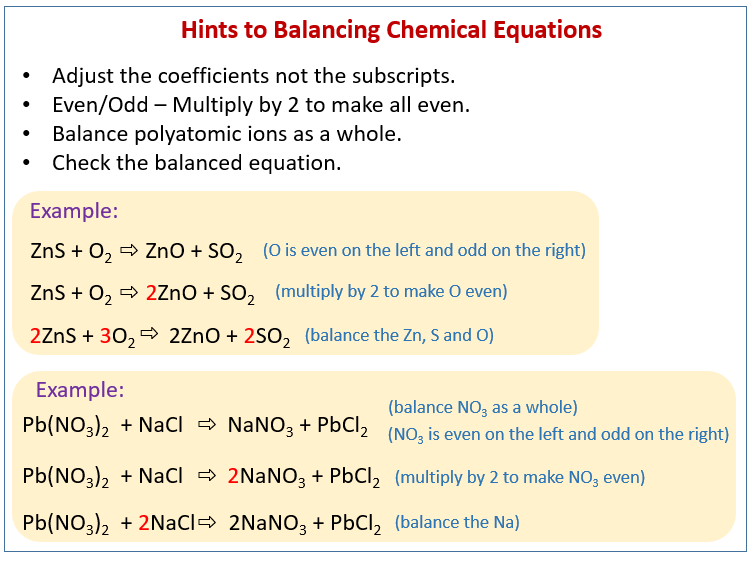 The following diagram gives the steps used to balance chemical equations. Scroll down the page for more examples and solutions. The following episode looks at balancing equations. The following episode looks at balancing chemical equations.